Anyone who uses Twitter understands the power of social media and how effective it can be at transmitting information through various social circles. While most users on Twitter have a limited number of followers, many individuals and businesses use Twitter accounts as a way to gain notoriety for themselves or their products – and will accumulate massive numbers of followers in the process. If you are looking for a fresh, new way to attract clients, customers or visitors to your e-commerce business, then advertising via Twitter may be the best solution for you in the field of new media advertising approaches. Before you can begin using Twitter to attract customers, you must first learn how to use it and the basic premise of the platform. Individuals who follow you will see any and all updates you post to your Twitter account. For those familiar with Facebook, it works very much like the Timeline function – except you will see all posts from those people you are currently following. Your posts can in turn be re-tweeted by others, exposing your message to individuals you currently are not connected with on Twitter. This in turn leads to more interested individuals finding your site and Twitter account, which creates an inevitable “snowball effect” when it comes to building Twitter followers. There’s nobody in e-commerce who doesn’t have a website, so there’s no excuse not to have Twitter buttons and/or a Twitter feed displayed on your website. Make sure that the buttons stand out and are easily visible, giving customers the option of visiting your Twitter page. Another great way to keep your Twitter account active and well-received is by publishing discount offers and promotional codes that are only available to those who are connected. It’s also a good idea to cross-advertise; if you have a Facebook page, for example, provide links to your Twitter and vice-versa. There are plenty of Twitter tools out there that allow you to look at the analytics and performance of your Twitter account and tweets. Twittercounter, for example, allows you to examine up to three months of data for free. Other premium services provide more data custom-tailored to your specifications, but this is not always needed for a budding Twitter entrepreneur. Pingler has a Twitter Links Finder tool that will show you every post on Twitter that refers to a specific URL, which makes it great for finding Tweets that were spread from a specific offering via your Twitter feed. Most Twitter users are familiar and comfortable with other individuals advertising – it is one of the major components of this social platform and tends to lead to the best products, services and other interesting subjects receiving the most attention. You still want to be personable, ask questions and participate in discussion with any willing bodies. There is often great opportunity to gain followers that may not be immediately recognizable; some may come across a conversation between a mutual followed account and yourself and be persuaded to check your e-commerce site out based on attitude and appearance. 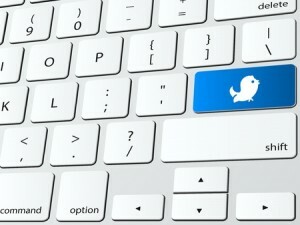 Does Your Small Business Need a Twitter and Facebook Account? Social Networking is very viral and important to us now a day when we can post and blog our products for FREE but now the twitter can make your SEO and market higher when it comes to e- commerce, you can update,post and check what is the most popular in your product. I like this blog very much so much excellent info . Are You Losing Influence Online? You Can Turn Things Around!